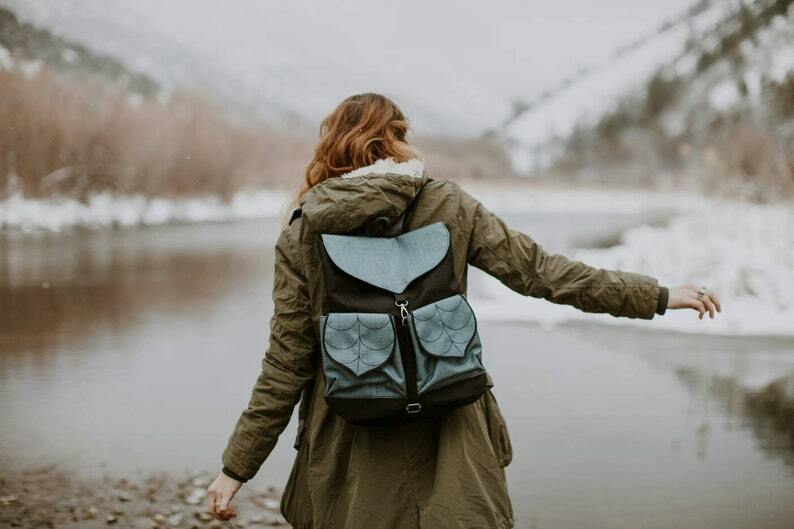 This waterproof backpack is compact and light, yet spacious enough to carry around all day. Measurements: 27cm W. (top) – 34cm W.(bottom) x 37cm H. x 16cm D.
Made from CORDURA® waterproof fabric: Manufactured in Germany. The bag closes with carabiner and drowstring inside. I already bought the same backpack in navy with blue stitching of the front pockets which I loved so much. When I saw this backpack I was intrigued of the neutral colours, so that I can wear it with all clothes. I love the silver colour of the front pockets and the top flap which pops out of the black fabric of the backpack. That's a real eyecatcher. I bought it with all extras plus a side pocket (you can never have enough pockets ;-) ).